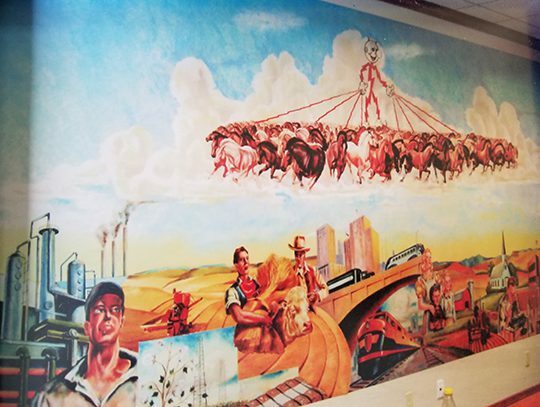 Reader Edwin Seymour sent us some of photos of Reddy Kilowatt as an Electric Cowboy, as well as a link to a related article about a large Reddy Kilowatt wall mural painted by artist Stefan Kramar for the Amarillo, Texas Xcel office. Thanks, Edwin! South Texas little buddy. Originally uploaded by Draplin See by the unstoppable Draplin at First Monday Trade Days in Canton, Texas.